3. Water world: Given its blissful island setting, it will come as no surprise that water sports are a favourite pastime here. 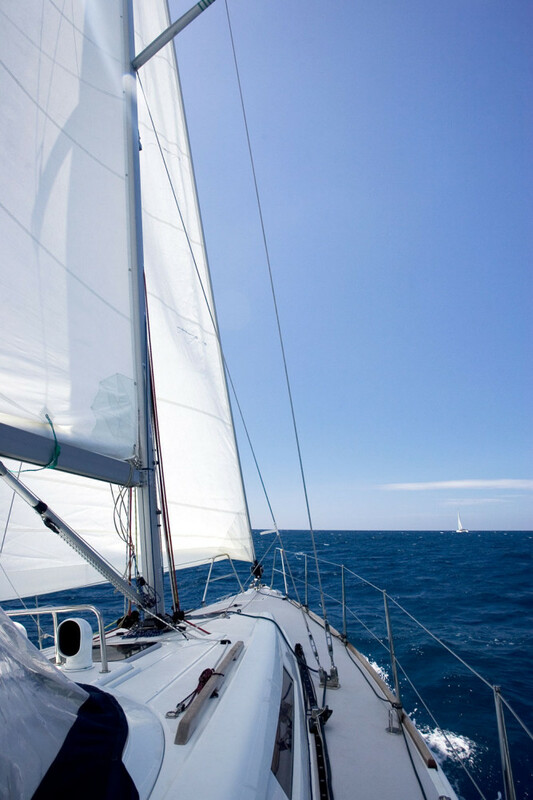 Above the water, choose from water skiing, sea kayaking, jet skiing and kitesurfing; while below there is some of the best scuba diving in the world, with pristine coral reefs teeming with marine life, clear visibility, and 22 wrecks to explore. 1. 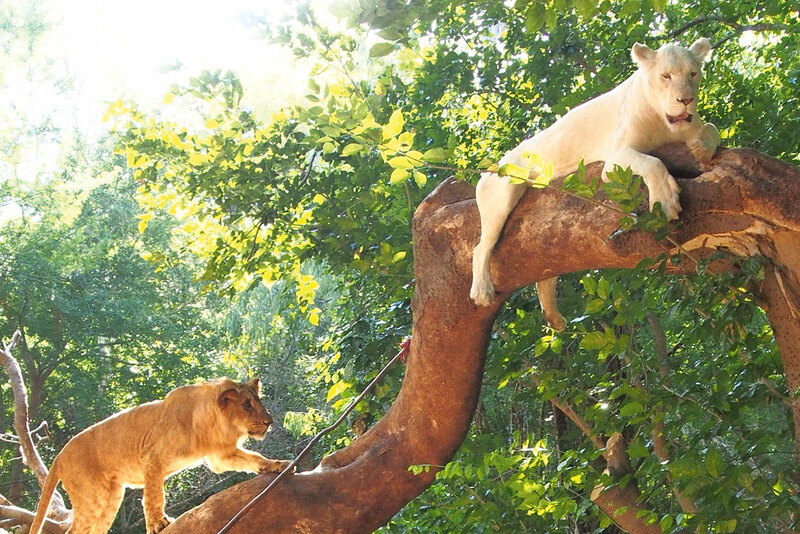 Walking with lions: The African mainland might be 2000 kilometres away, but visitors to Mauritius can have their own safari-style experience, observing and even interacting with lions at close quarters at Casela Nature Park. Here the lions can be seen playing around on the rocks and having fun; and you can get close, with suitable supervision. The conservation program here makes it a very worthwhile experience, too. 2. Parks and recreation: You don’t need to leave Casela Nature Reserve once you’ve met the lions; there are 14 hectares of exotic tropical flora and fauna to explore, including giant turtles, monkeys and around 1500 birds from over 150 species. The park is quite free-range, without restricting organised tours; you get a brochure guide on entry and are then free to explore. 4. Go exploring: Chamarel, a verdant hidden hamlet of plantations nestled in the western hills, possesses a hushed bucolic vibe and stunning scenery. In addition to just taking in the mountain views and cool breezes, there are waterfalls, hiking and bike trails, and horseback riding. Most people, though come here to see the Coloured Earths of Chamarel, a geological formation of dunes comprising sands of seven different colours, all melded together to create a stunning otherworldly effect. 5. Going green: Mauritius is earning itself quite a reputation as a golfing destination, and it’s really a no-brainer to figure out why, with spectacular greens sitting next to blue lagoons and lush vegetation all around. There are a dozen super greens on the island set up in truly spectacular locations by hotel groups and golf estates, and built to US PGA standards. A few have even made it onto the list of the 100 Best Courses in the World by World Golf magazine. 6. Something’s cooking: Mauritian cuisine is a lot like its population: colourful with a hybrid of flavours, influences and traditions, from Indian to Creole. 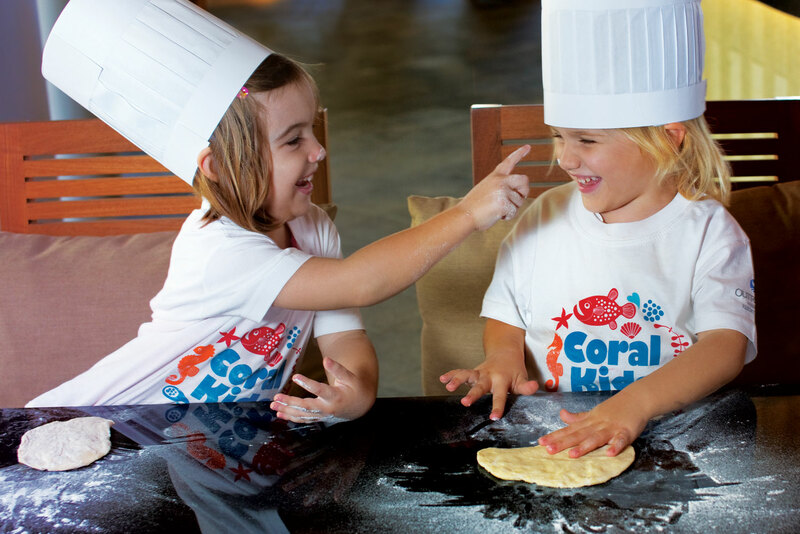 There are various cooking classes offered on the island, including at the Outrigger Mauritius Beach Resort, where you can learn to cook with the same creativity and flair as the locals. 7. 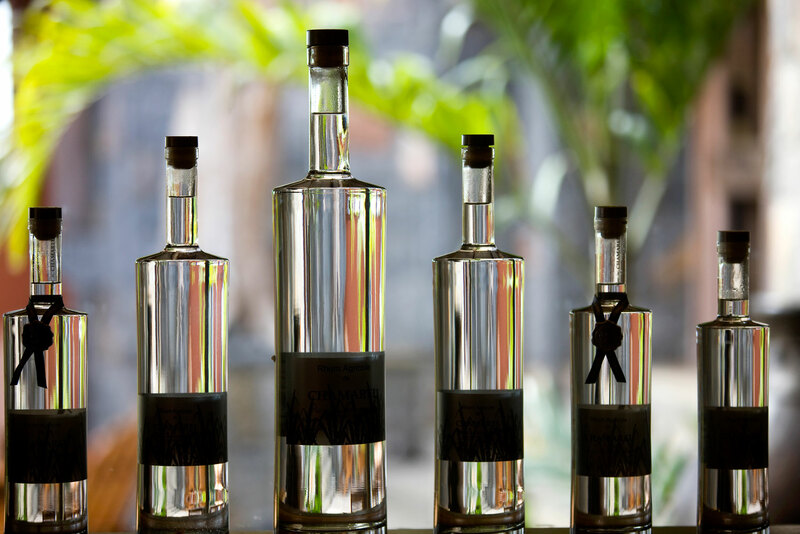 A taste of the tropics: Set among lush hillside plantations, the Rhumerie de Chamarel is a working distillery and museum showcasing the history and traditions of the rum-making process in this part of the world. Opened in 2008, the delicious end result can be sampled after a guided tour, and taken home from the well-stocked shop on site. 8. Sail away: While the view looking out from Mauritius beaches is pretty spectacular, looking back towards the island paradise is just as satisfying. The best way to experience this is on a catamaran cruise, taking in the northern islets of Flat Island and Ilot Gabriel, the east coast at Ile aux Cerfs and Ilot Mangenie, and to the west, Ile aux Benitiers, stopping off for lunch and a swim. 9. 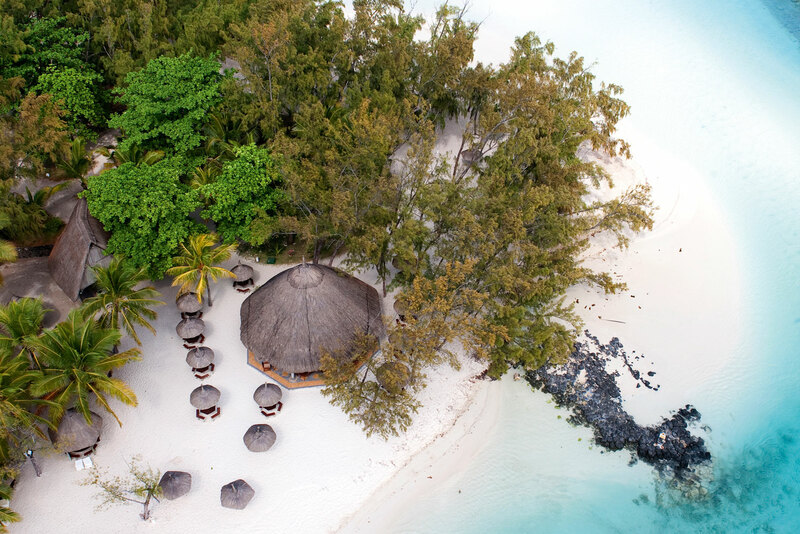 High life: With the water and the beaches well and truly ticked, the only other way to see Mauritius is from the sky. A relatively new experience in these parts, sky diving is one of the most breathtaking ways to take in the view, enjoying a scenic flight before jumping out at 3000 metres for an adrenaline-packed journey back to Earth. A tropical island nation set in the clear, warm waters of the Indian Ocean, it is tempting to come to Mauritius simply to lie on the ridiculously idyllic beaches and enjoy international-quality resorts. But for a relatively small destination, there is a surprisingly large and diverse range of things to do. The African mainland might be 2000 kilometres away, but visitors to Mauritius can have their own safari-style experience, observing and even interacting with lions at close quarters at Casela Nature Park. Here the lions can be seen playing around on the rocks and having fun; and you can get close, with suitable supervision. The conservation program here makes it a very worthwhile experience, too. You don’t need to leave Casela Nature Reserve once you’ve met the lions; there are 14 hectares of exotic tropical flora and fauna to explore, including giant turtles, monkeys and around 1500 birds from over 150 species. The park is quite free-range, without restricting organised tours; you get a brochure guide on entry and are then free to explore. Given its blissful island setting, it will come as no surprise that water sports are a favourite pastime here. 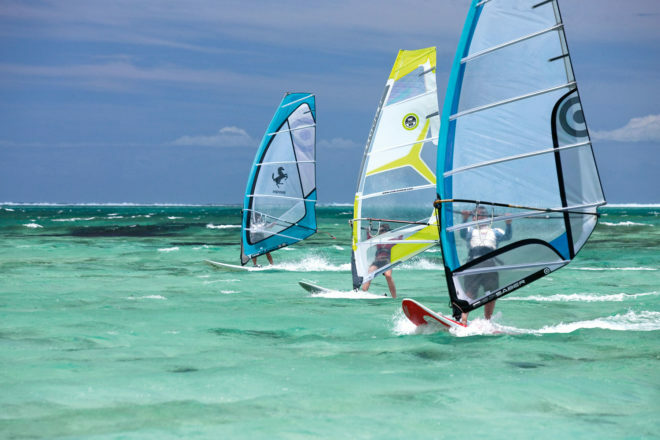 Above the water, choose from water skiing, sea kayaking, jet skiing and kitesurfing; while below there is some of the best scuba diving in the world, with pristine coral reefs teeming with marine life, clear visibility, and 22 wrecks to explore. Chamarel, a verdant hidden hamlet of plantations nestled in the western hills, possesses a hushed bucolic vibe and stunning scenery. In addition to just taking in the mountain views and cool breezes, there are waterfalls, hiking and bike trails, and horseback riding. 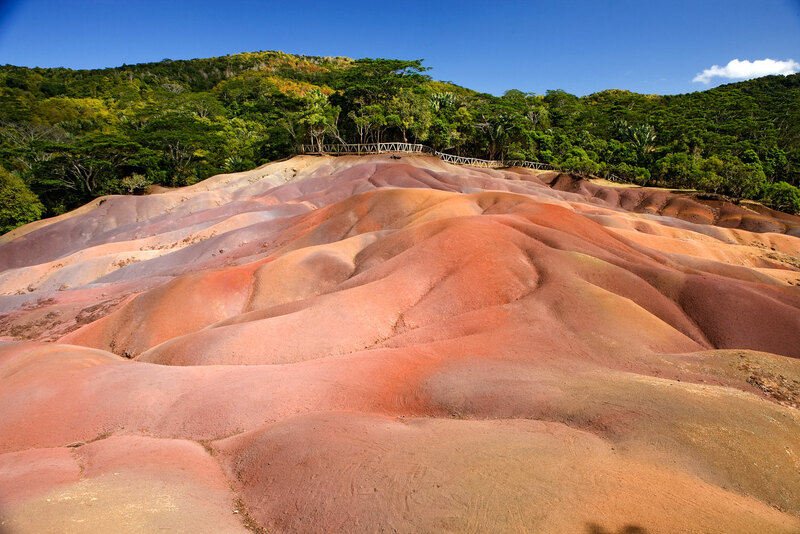 Most people, though come here to see the Coloured Earths of Chamarel, a geological formation of dunes comprising sands of seven different colours, all melded together to create a stunning otherworldly effect. 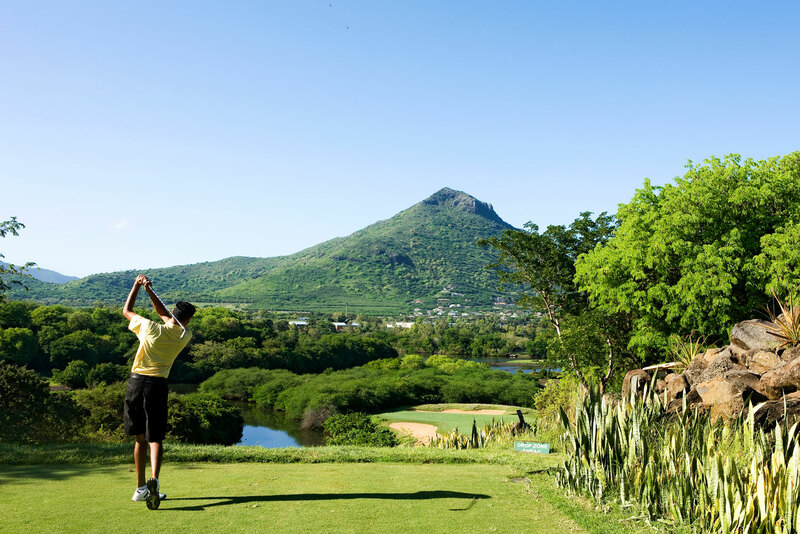 Mauritius is earning itself quite a reputation as a golfing destination, and it’s really a no-brainer to figure out why, with spectacular greens sitting next to blue lagoons and lush vegetation all around. There are a dozen super greens on the island set up in truly spectacular locations by hotel groups and golf estates, and built to US PGA standards. A few have even made it onto the list of the 100 Best Courses in the World by World Golf magazine. Mauritian cuisine is a lot like its population: colourful with a hybrid of flavours, influences and traditions, from Indian to Creole. There are various cooking classes offered on the island, including at the Outrigger Mauritius Beach Resort, where you can learn to cook with the same creativity and flair as the locals. Set among lush hillside plantations, the Rhumerie de Chamarel is a working distillery and museum showcasing the history and traditions of the rum-making process in this part of the world. Opened in 2008, the delicious end result can be sampled after a guided tour, and taken home from the well-stocked shop on site. While the view looking out from Mauritius beaches is pretty spectacular, looking back towards the island paradise is just as satisfying. The best way to experience this is on a catamaran cruise, taking in the northern islets of Flat Island and Ilot Gabriel, the east coast at Ile aux Cerfs and Ilot Mangenie, and to the west, Ile aux Benitiers, stopping off for lunch and a swim. With the water and the beaches well and truly ticked, the only other way to see Mauritius is from the sky. A relatively new experience in these parts, sky diving is one of the most breathtaking ways to take in the view, enjoying a scenic flight before jumping out at 3000 metres for an adrenaline-packed journey back to Earth. 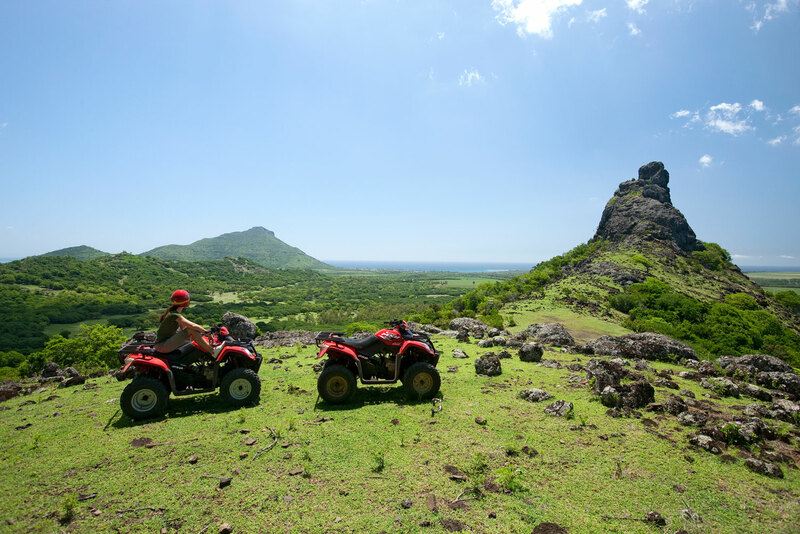 For more information on Mauritius, visit the MTPA Tourism Office.